A news study suggests that have cottage cheese if you have a habit of snacking before bedtime. The study has been published in the British Journal of Nutrition. According to a recent research, consuming 30 grams of protein about 30 minutes before bed appears to have a positive effect on muscle quality, metabolism and overall health. And for those who have sworn off eating at night, there is no gain in body fat. As part of the study, participants, active young women in their early 20s, ate samples of cottage cheese 30 to 60 minutes before bedtime. Researchers specifically wanted to see if this food may have an impact on the metabolic rate and muscle recovery. “This is important because it adds to the body of literature that indicates that whole foods work just as well as protein supplementation and it gives people options for presleep nutrition that go beyond powders and shaker bottles,” Ormsbee added. 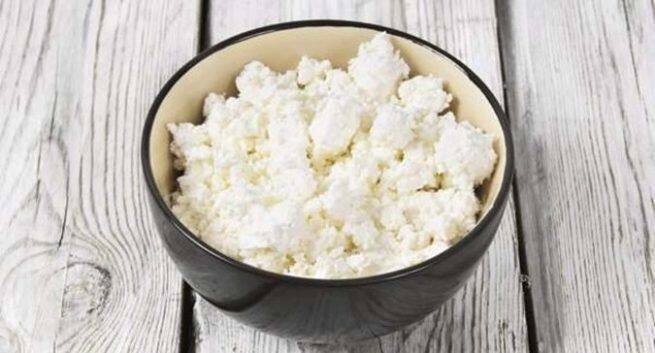 Cottage cheese can reduce heartburn and prevent an upset stomach because of the calcium content in it. It also boost the digestive health and also prevent other health related issues such as irritable bowel syndrome and constipation because cottage cheese is a great source of probiotics. Cottage cheese contain vitamin A and zinc intake which reduce the risk of vision loss. Hence, it plays an important role in protecting your vision. The protein in cottage cheese can help you to stay fuller, and which means you eat less, you get a chance to lose weight in a healthy manner. According to various researches, cottage cheese can stimulate fat-burning and suppress fat accumulation, which ultimately helps in weight loss. It is also known for its low calorie content.